1 1/8" = 30 mm Wide Italian calfskin leather belt. Lined with soft Genuine Leather. Made with snaps for interchangeable buckles. 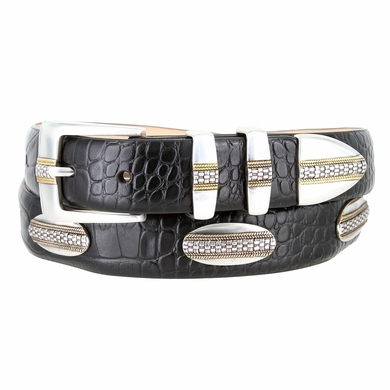 Sterling silver and Gold finish Four Piece Buckle Set.